« The Port Coquitlam Shaughnessy on Lions Park High-Rise Tower Residences – Luxury PoCo Condos for Sale – 26 Stories Tall! Plus more information about the Avenues of the World at Millennium Water Vancouver. Home of the Olympic and Paralympic Village Vancouver Millennium Water is featuring the Olympic Collection of 50 homes priced under $599,000! At the Vancouver 2010 Olympic and Paralympic Winter Games, Millennium Water Vancouver Development will be part of a historic global event – it will be the 2010 Athlete’s Village, Vancouver, providing housing and amenities for 3,000 athletes and officials. With its achievements in sustainable design, Millennium Water Vancouver waterfront condo community will remain a community legacy after the Olympic Games. Living at the Millennium Water Vancouver waterfront condo community will sustain a legacy, inspiring people around the planet, especially those who choose to make this community their home, for generations to come. See it May 8, 2010. Tour 8 completed suites at Millennium Water Vancouver waterfront community, each featuring one of Canada’s Gold Medial Interior Designers, complementing the original Millennium Water Suite by Chil Design Group. 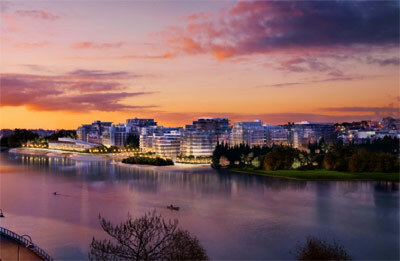 Avenues of the World at Millennium Water will include designs of waterfront condos by BYU Design, Ledingham Design Consultants, Mitchell Freedland Design, Alda Perriera Design, Inform Interiors, The Cross Décor & Design, William Switzer & Associates as well as Kodu Design. Now Selling! The display suite for the Vancouver Millennium Water condos is located at 212 West 1st Avenue and is open daily from 12 to 5pm and closed Fridays. Take a look at the Avenues of the World at Millennium Water today! Visit Millennium Water Vancouver Waterfront Development during the 2010 Olympics! A recent article in The New York Times Great Homes and Destinations Column made headlines throughout the world. This great article aboutu the 2010 Athlete’s Village at Millennium Water Vancouver is a master planned real estate development that is garnering great praise for its environmentally friendly design and construction in addition to its awesome waterfront location. The article by Joanne Blain on January 14, 2010 was titled ‘Athlete’s Village Getting New Life After Winter Games’. According to the article, the Athlete’s Village will fast reinvent itself into a mixed use residential community along the Vancouver waterfront real estate community of Southeast False Creek. A collection of over on thousand high end waterfront Vancouver condos and townhouses for sale have homeowners already, but first of all, will make way to over twenty eight hundred Olympic and Paralympic Athletes during the duration of February to March 2010. Afterwards, the transformation of the 2010 Athlete’s Village into the mixed use Millennium Water Vancouver waterfront real estate community in Southeast False Creek will result in 1097 total high end condominiums, rental condo suites and public housing just across a bridge from downtown Vancouver. About one third of the total seven hundred and thirty seven market condos were sold out during the presales event that happened back in 2007. The second presale event never materialized as the global economic problems had a huge influence on the Vancouver real estate market place, especially those of the high-end condo and townhouse calibre. Nonetheless, the Vancouver real estate market rebound has been nothing but spectacular in the latter half of 2009 into 2010, and the resulting price points for these luxury Vancouver waterfront condos for sale at Millennium Water False Creek are pegged between an approximate price point of $500k to about $10 million. There have been many inquiries, especially overseas as well as local people as to the availability of such Millennium Water Vancouver waterfront condos for sale. To many, the False Creek Millennium Water Vancouver location is amazing. It’s located along one of the most beautiful waterfront stretches with great views and proximity to downtown Vancouver. In addition, there will be a central plaza, waterfront community centre, upscale grocers and retailers as well as a restored heritage building within the Millennium Water Vancouver community once finished. Some of the features of these luxury Vancouver waterfront condos are also very spectacular, with Sub-Zero and Miele appliances, limestone flooring, hardwood floors, wood veneer kitchen cabinetry, quartz counters and floor to ceiling windows (with over height ceilings). According to the New York Times, the Millennium Water False Creek waterfront condos will also feature sweeping views of the city. In addition to market unit sales, there will also be the availability of Millennium Water rental units within the public housing buildings. There remains 474 market condos available at the Millennium Water Vancouver real estate development with the prized home being the penthouse suite at 3900 sqft or 362 sqm in size and priced around $10M. The smaller units for sale at the Vancouver Millennium Water condo development will be the 450 sqft units that are about $500,000. Most of the units still remaining are between $800 to $1.2M and range between nine hundred and twelve hundred sqft. One of Millennium Water’s biggest selling features is that it is marketed as one of the greenest condominium developments in all of Vancouver real estate market place. Cutting edge design, sustainability and green features grace every residence. The Olympics are finally here, and front and centre in the Vancouver real estate market place is the Southeast False Creek Millennium Water Olympic Athlete’s Village. A true Vancouver real estate waterfront community, the Millennium Water features an Athlete’s Village will feature homes for over three thousand Olympic officials and athletes for the 2010 Games. Upscale excellence are two words to describe this new Vancouver green condo community with excellence in design, interior finishes (that include Eggersman, Sub-Zero, Miele, Dornbracht and much more). The bathrooms are of refined tastes and the kitchens are chef inspired. In addition, there is limestone, Forest Stewardship Council (FSC) certified solid hardwood flooring, deep carpeting and amazing interiors throughout the waterfront Vancouver condos at the Millennium Water green community. The sustainable waterfront Vancouver homes features elegant homes that are for today’s lifestyle. Being LEED Gold certified is very hard to come by, but the construction and design of these GREEN Vancouver Millennium Water condos is purely amazing. Radiant capillary heating and cooling geothermal system to superior energy efficiency and water efficient appliances are some features of sustainable living here at the Green Millennium Water condo neighbourhood. In addition, there are roller blinds (automatic), lots of outdoor balconies, lots of windows that allow ample lighting as well as recycled rain water system in this new Vancouver condo at the Millennium Water GREEN condominiums. The ten thousand square foot Millennium Water waterfront Vancouver condo presentation centre and display suites are located at 212 West First Avenue at Cook Street and is open ten to six throughout the Olympic Winter Games. Just when you thought the last of the luxury Vancouver Millennium Water waterfront condos were sold old, think again! Introducing the Olympic Village Avenues of the World at Millennium Water after the 2010 Games are over. On May 8th, the Millennium Water Avenues of the World will introduce the post-Olympic launch of presale waterfront Vancouver condos for sale. 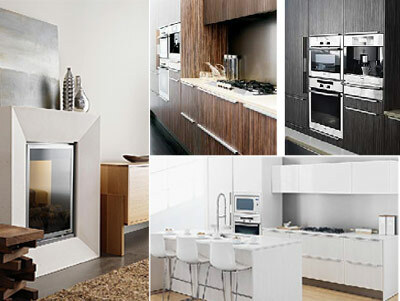 Eight brand new designer show homes will open to the public through the Vancouver 2010 Athlete’s Village at Millennium Water real estate development and will feature designs by eight of the countries leading interior designers, the winners of the Gold Medal Interior Designs. The Avenues of the World at Millennium Water Vancouver real estate development will feature a sales launch at May 8th, 2010.